You get your standard run of the mill canopies and then you get designer canopies. If you want designer canopies, then Architectural Canopies can help. Designer canopies stand head and shoulders above other canopies. That is because a designer canopy is a thing of beauty. At the same time it provides all the functionality you will expect from a canopy. Designer canopies have architectural interest and a specific one can even be a focal point. 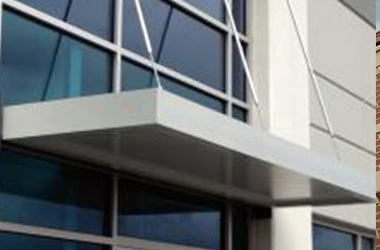 MASA Architectural Canopies have an interesting range of designers and they can also custom canopies and awnings. 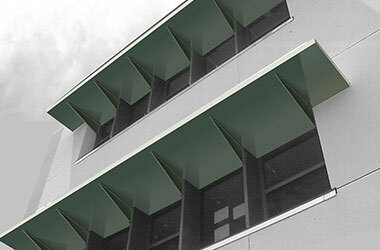 For example their Echo-Shade range of designer canopies is available as plate outrigger system or a framed system. 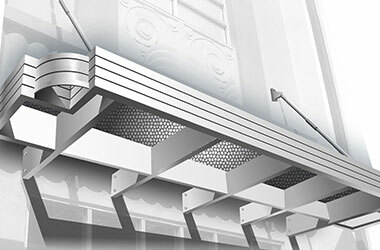 This means these canopies can be used in various architectural settings. Designer canopies can be used along building walls and exteriors, over entry ways, over walkways, at waiting and meeting points, at eateries and in various other settings. Apart from shade, shelter and sunlight control, designer canopies have several other features and benefits. 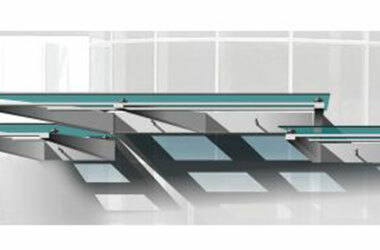 MASA also carries other innovative ranges of designer canopies including Extrudeck, Vision, Alumiframe and Imagination. For example if you want to go beyond standard shapes, then think Vision. With this range of designer canopies you can go freeform, and the possibilities are endless. 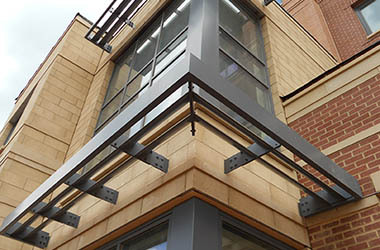 MASA is your source for architectural and designer canopies across the country. Copyright © 2019 MASA Architectural Canopies. All Right Reserved. Website by American Creative.